Since I’ve already put together a list for you of free DAT practice tests I thought I would help some more by providing you with a compilation of free study materials to help you prepare for the DAT. There are actually quite a few resources out there that are available to everyone at absolutely no cost. Some of these review materials are fantastic resources to use for your DAT preparation. I would highly suggest using some of them in conjunction with other materials. I will go through and list all of the free materials and provide you with some information on them so you can decide which materials are right for you. Biology has the most study materials available for free out of all the sections of the DAT. This is mainly because these resources are not specific to the DAT and can be used by any student studying Biology, that is the case with the majority of these free study resources. Although they are not customized for the DAT many of them are still excellent resources that cover everything on their given topic that you need to know for the DAT. I would suggest printing out a list of the topics for the Biology section of the DAT if using these free materials in order to make sure that you are studying everything that you need to know and also so that you don’t study things that you don’t need to know. Visit my page, Dental Admission Test, and scroll down to the Biology section to see the list of topics. Do the same for the Chemistry and Organic Chemistry sections, as well as the Perceptual Ability Test, Reading Comprehension Test and Quantitative Reasoning Test. No matter what materials you use to prepare for the DAT it is helpful to have this information along side you while you study. Now let’s take a look at the review materials for Biology! Feralis Notes: This is a document of notes including some images of everything that you need to know for Biology on the DAT. This is an excellent review document and is used by many pre-dental students. I’d highly suggest using this document for the Biology section and if you have other materials for Biology then still make sure to use this in conjunction with them. There is also an Excel sheet for the Taxonomy section of Biology that you can download from this same page. Check it out and use it for help on Taxonomy. Lastly, there’s a link to download Anki flashcards of the Biology notes. You must have downloaded the Anki software in order to use the flashcards. See the bottom of this post under Additional Resources to read about Anki flashcards and download the program. Crash Course: These are educational videos made by Hank Green that you can access for free through their YouTube channel. There are also several videos on Anatomy & Physiology that they have made as well; these can be helpful videos to watch and gain a brief insight and understanding into these topics which are part of the Biology section of the DAT. These are well made videos that are very helpful and effective at teaching and explaining in a simple manner many complex and challenging concepts. Hank makes learning a lot easier, because he makes it entertaining. Time passes much faster watching these videos than others and you will be able to stay awake much easier by studying with Crash Course. I would suggest using them to gain more clarification and insight into challenging topics. These videos are also helpful, because you can use them in addition to your DAT prep materials to have more variety in your types of study materials and they’re free resources that you can use to help you more fully understand a difficult concept. Khan Academy: These are educational videos made by the Khan Academy that you can access for free through their YouTube channel. These are well made videos that are very helpful and effective at teaching and explaining in a simple manner many complex and challenging concepts. I would suggest using them to gain more clarification and insight into challenging topics. These videos are also helpful, because you can use them in addition to your DAT prep materials to have more variety in your types of study materials and they’re free resources that you can use to help you more fully understand a difficult concept. Craig Savage: Craig Savage has created educational videos for topics in Biology that are available for free through his YouTube channel. These videos are well made and very thorough. He does a good job at explaining concepts and teaching the material. They are not as entertaining and as easy to watch as Crash Course or even Khan Academy, but they are well made and good resources to use for clarification on topics in Biology. Use them in addition to other DAT prep materials to more fully understand Biology. Sumanas: Sumanas has created animated videos with audio explanations of Biology topics that you can use for free. These are well made animations that are really helpful to understand the difficult topics in Biology. They cover almost everything that you need for the DAT and are really helpful in understanding the material better. Use them in addition to other DAT prep materials to more fully understand Biology. Hippo Campus: Hippo Campus is an educational website that has compiled educational videos and materials from a variety of companies such as: Khan Academy and others for students to use for free. The nice thing about it is that there are multiple companies providing the videos and materials for one topic so there is a larger collection of study materials altogether in one place. Pick whatever companies appeal to you and your learning style and use them to gain more insight into those topics. It is a decent resource to use to gain more understanding and insight into challenging topics. Freelance Teacher: Steven, a freelance teacher, offers free educational videos on some Biology topics as well as written documents that cover questions, answers, and concepts from the videos. He does offer video chat tutoring through Skype for a set fee. The material for the Biology section is very limited, but he does a good job at explaining concepts. Steven asks that you do pay, however, for using his study materials, but he only asks that you pay what you seem fit as there is no set price. General Chemistry also has several resources to use to prepare for the DAT. All of these review materials come from most of the companies that offer free study materials for Biology as well. There are some well made and good materials that you can use to better understand General Chemistry. Crash Course: These are educational videos made by Hank Green that you can access for free through their YouTube channel. These are well made videos that are very helpful and effective at teaching and explaining in a simple manner many complex and challenging concepts. Hank makes learning a lot easier, because he makes it entertaining. Time passes much faster watching these videos than others and you will be able to stay awake much easier by studying with Crash Course. I would suggest using them to gain more clarification and insight into challenging topics. These videos are also helpful, because you can use them in addition to your DAT prep materials to have more variety in your types of study materials and they’re free resources that you can use to help you more fully understand a difficult concept. Freelance Teacher: Steven, a freelance teacher, offers free educational videos on General Chemistry topics as well as written documents that cover questions, answers, and concepts from the videos. He does offer video chat tutoring through Skype for a set fee. The material for the General Chemistry section is much better than Biology and he covers all of the important topics that you should know for the DAT. He does a good job at explaining many difficult concepts. Steven asks that you do pay, however, for using his study materials, but he only asks that you pay what you seem fit as there is no set price. Organic Chemistry also has several resources to use to prepare for the DAT. All of these review materials come from some of the companies that offer free study materials for General Chemistry as well. There are some well made and good materials that you can use to better understand Organic Chemistry. Freelance Teacher: Steven, a freelance teacher, offers free educational videos on Organic Chemistry topics as well as written documents that cover questions, answers, and concepts from the videos. He does offer video chat tutoring through Skype for a set fee. The material for the Organic Chemistry section is much better than Biology and he covers all of the important topics that you should know for the DAT. He does a good job at explaining many difficult concepts. Steven asks that you do pay, however, for using his study materials, but he only asks that you pay what you seem fit as there is no set price. This test comes down to your ability to pull information from an article in a timely manner which can be accomplished through effective test taking strategies and proper time management. If reading quickly yet efficiently isn’t one of your strengths then a speed reading course could be beneficial to you. It could improve your speed at reading and help you to more quickly and efficiently pull out the necessary information to answer the questions. Read Speeder offers a free online course to help you do just that. It is a great tool to use if you need a little help on managing your time and improving your score on the Reading Comprehension Test. There are probably quite a few other resources available online to help learn and understand topics in Math, however, theses are two of the better resources that I have come across for it and I am not familiar with any other free resources like these. Use them to prepare for the Quantitative Reasoning Test. Khan Academy: These are educational videos made by the Khan Academy that you can access for free through their YouTube channel. These are well made videos that are very helpful and effective at teaching and explaining in a simple manner many complex and challenging concepts. The following topics are covered by Khan Academy: Arithmetic, Algebra, Geometry, Trigonometry, Statistics, & Probability. I would suggest using them to gain more clarification and insight into challenging topics. These videos are also helpful, because you can use them in addition to your DAT prep materials to have more variety in your types of study materials and they’re free resources that you can use to help you more fully understand a difficult concept. Hippo Campus: Hippo Campus is an educational website that has compiled educational videos and materials from a variety of companies such as: Khan Academy and others for students to use for free. They also offer study materials on Arithmetic, Trigonometry, and Statistics & Probability. The nice thing about it is that there are multiple companies providing the videos and materials for one topic so there is a larger collection of study materials altogether in one place. Pick whatever companies appeal to you and your learning style and use them to gain more insight into those topics. It is a decent resource to use to gain more understanding and insight into challenging topics. Here is a list of resources that are not specific to any section of the DAT, but are still helpful to use while preparing for it. DAT Question of the Day: Subscribe for free and get one practice DAT question every single day of the year delivered straight to your e-mail inbox. Questions will come from Biology, General Chemistry, Organic Chemistry, and the Quantitiative Reasoning Test of the DAT. Anki: A program for creating flashcards that makes remembering things much easier. This is a very effective way to study and learn material for the DAT. This program allows you to create flashcards with all types of content (text, images, audio, or videos) and customize your cards in a variety of ways such as their layout to the length of time in between reviewing them. I think the neatest feature is the review timing feature. If you answer a flashcard correctly then it will automatically wait a specific amount of time before it shows you that card again and after answering the question correctly a second time then it will wait even longer before showing you the card again. This feature is what makes Anki so helpful in that material that you do not answer correctly will repeat more often so that you learn to remember the material and material that you do know will repeat at longer intervals so that you do not forget anything. This way you can effectively learn the material and retain it over a longer period of time. You can also use their synchronization service so that you can keep your cards in sync and use them on multiple devices (desktop, iOS, & Android). You do have to pay $25 for the iOS App, but all the other devices can download Anki for free. Quizlet: An online website that allows you to create flashcards and study tools for free. This is similar to Anki, but it is more user friendly and everything is stored online and not in a downloaded software program. It does not have the features to customize flashcards as Anki does, but it is still extremely helpful to use. 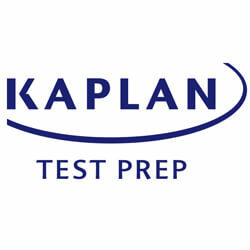 Sign-up for free and begin creating flashcards, tests, and even study games to use in preparing for the DAT. You can also download their free apps for iOS and Android so that you can study on the go. All of your data from your website account will sync with your apps and you can even study offline on your iOS and Android devices. I have provided you with a compilation of some great materials and resources that are available for you to use in preparing for the DAT. Take advantage of these free DAT prep materials to supplement whatever DAT prep course you’re studying with. Not only will you save money, because they are free, but you will be more prepared for the Dental Admission Test!